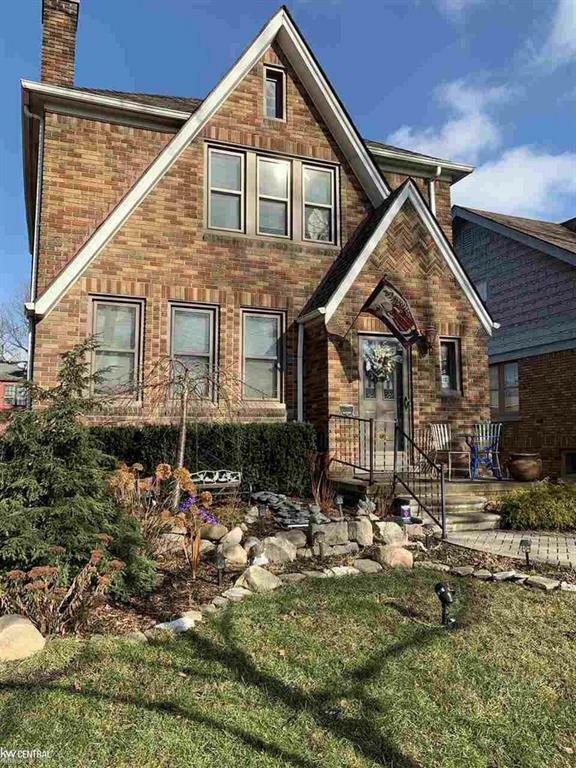 The ONLY 3 Bedroom with 3 FULL Baths for sale in Grosse Pointe Farms! Walking distance to schools/shopping/medical & restaurants! Gorgeous hardwood floors throughout w/tile in kitchen/baths. Exquisitely updated w/attention to every detail & all the modern amenities preserving the charm of the era! Kitchen has custom maple cabinets w/crystal hardware/granite countertops/Kohler cast iron Farmhouse sink/touch on/off faucet/pot filler/GE Cafe Series appliances & Bosch dishwasher! 3 Beautiful baths w/upgraded fixtures/body jets/Swarovski crystal knobs & a 1936 chandelier in the 10ft double coved ceiling in main bath. More fine details include custom milled picture rail/crown/base moldings to one of a kind switch plates/hardware/door knobs. New HE furnace/AC (2013), lifetime WallSide window transferable warranty & updated plumbing/electrical throughout. Beautifully landscaped yard w/waterfall feature/underground sprinklers/custom composite deck/newer concrete driveway! CO Complete!